Looking for something fun to do on a Saturday Night, in Ellensburg? Something SUPER fun and SUPER affordable?! How about some local Roller Derby!? Tickets are 5 bucks all year long, to celebrate our 5th season, and say thank you to our fans! 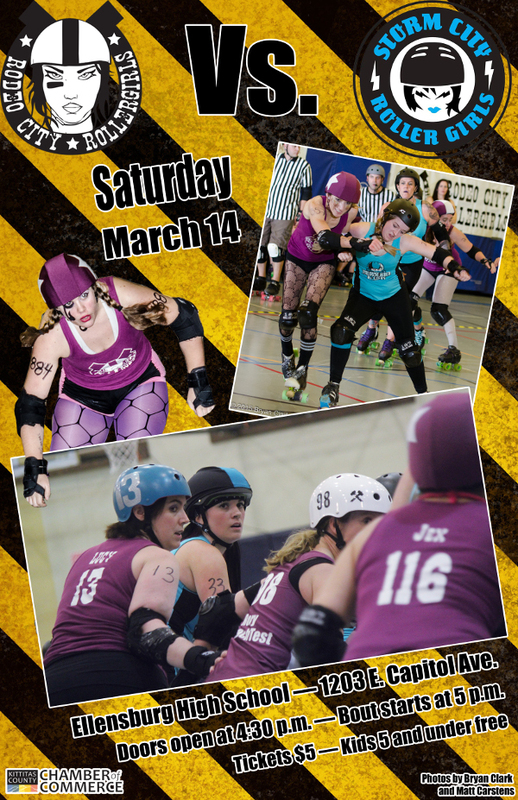 We hope you can join us on March 14th as we skate hard against the ladies from Storm City! Get your tickets online up until bout day @ noon. -> Get Tickets!